TK is the Founder and Managing Partner at Wasabi Ventures Stables. His job is to steer the business and horse racing aspects of the operation working closely with both the business and racing sides of the operation. It has been his life long dream to build a world class racing stable. Since hearing the stories of his great grandfather about the racing business in the 50s and 60s, he has romantically dreamt of making a stable a reality. After a long professional career in the startup world where in his 25 years of startup activity, he has been a part of over 1,500 rounds of financing as an investor, founder, or adviser, he decided to bring a lot of that experience to the racing industry. 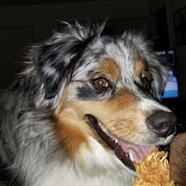 Michele Pesula Kuegler is a lifelong fan of all animals, especially those who enjoy a scratch and a treat. Professionally, she has spent the past decade or so in the startup world, as a founder, blogger, and program director. 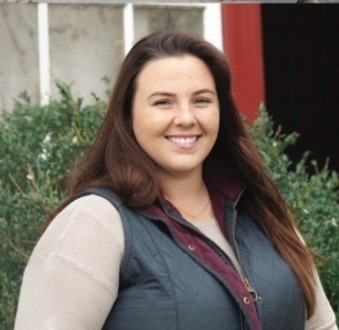 Her role at WV Stables nicely combines her passion for animals with her skills in social media, community building, and networking. If you see her near our barns, be sure to ask her for a peppermint. She’s certain to have a pocketful to share with her equine friends. Jesse Cruz has grown up at the racetrack since his toddler years. According to Jesse, he didn't enjoy being there in his younger years but became more interested by a horse named Russell Road. Initially he wanted to pursue being a jockey. This dream was derailed by a growth spurt during his teenage years. After high school he spent time at Gulfstream Park and Saratoga as an exercise rider for Billy Mott and Mike Maker. He also worked for Ollie Figgins III as an assistant trainer. In December 2016 he earned his trainer's license in Maryland. Slightly more than three months after that he gained his first win. Jesse's stable is based at Delaware Park. 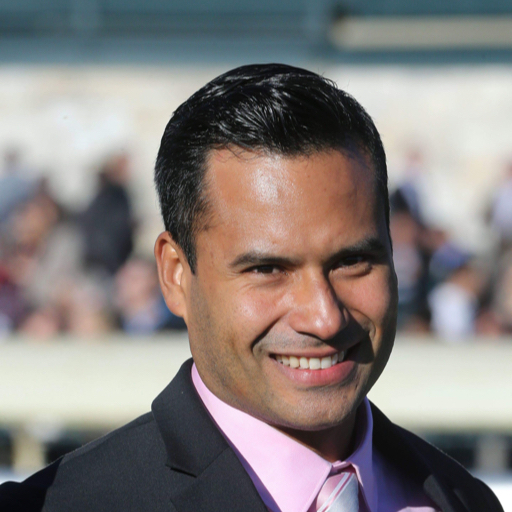 John Ortiz grew up with a dad who was a jockey, originally in Columbia and later in the mid-Atlantic region. As a child he was Infatuated with horses and wanted to be a jockey. Making weight to be a jockey was too hard, so he opted to work in a different role. John has worked as a barn foreman and assistant to Bill Mott. He also worked under Graham Motion for two years and Kellyn Gorder for five years. In November 2016 he went on his own as a trainer with a client who wanted to claim horses. This was his first experience with claimers. He has won multiple stakes races with horses that he has claimed for $25k or less and won a Grade 3 stakes at Keeneland on an $80k claimer. He is based in Kentucky and runs at Churchill, Indiana Grand, Oaklawn, and Fairgrounds. Johnny gets on his own horses, breezing them. He has an advantage as he can feel them and experience a different understanding of each. He is a hands on trainer. If he isn't riding, he is in the stall. He is proud of his staff, whom he considers to be family. They are a capable group who focus on working together. Mark Salvaggio started as a groom at Thistledown during high school. After high school he moved to Ocala and started galloping there. Mark moved back to Cleveland and became a jockey at Thistledown in 1980. He worked in that role for twenty-three years. During that time, he had a number of accomplishments. In 1990 he was second in the nation for wins as a jockey. He also won at three racetracks in the same day: Parx, Delaware, and Penn National. In 2003, Mark left his career as a jockey and began working for his brother, Michael, starting in the roles of groom and exercise rider. He earned his trainer’s license in 2011 and has been working on his own since then. His stable is located at Penn National. A lifelong animal lover, Ron Spatz's first job in racing was walking hots for a dollar apiece while in college. Thereafter, he worked his way up the ladder, as a groom for trainers, Bud Lepman and Jimmy Crall, and then as an assistant to Greg Sanders. He's been training for 25+ years. Ron's stakes winners include: SNAZZLE DAZZLE, CARTERISTA, CAT ON TOUR, EXPLOSIVE JEFF, A REAL ZIPPER, NOBLE ROBYN, FINAL APPROVAL, NAKED ROYALTY, and MOUNTAIN FORUM. He lives in Plantation, Florida. Dorothy “Beth” Worton graduated from Averett University with a Bachelors of Science in Equestrian Studies. She continued with graduate work in Agriculture and Extension Education. Beth worked as adjunct faculty at a local college, teaching courses in these subject areas. 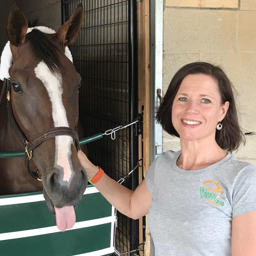 Beth’s horse training career started at a Standardbred farm, where she learned and held all roles, including grooming, harnessing, and more. She rode for her husband at their farm, where he trained Arabians and Thoroughbreds. After the unfortunate passing of her husband, Beth met trainer, Carlos A Garcia, and began working as an assistant for him. During this time she earned her trainer’s license in Virginia and Maryland. In 2012 she went out on her own. Beth has worked at Laurel, Bowie, and Pimlico. She currently is stabled at Pimlico. She was the first trainer hired by Wasabi Ventures Stables and trained the first horse WVS owned, Slick William. Sabrina Moore grew up barrel racing and participating in rodeo activities. Living in Maryland, she knew neither would be viable careers. After high school, she began working at a breaking farm to learn more about working with younger horses. After this Sabrina began working with Bill Reightler, who has become her biggest mentor. He has taught her about commercial breeding, sales, and more. In 2011 she acquired her first broodmare in foal and hasn’t stopped since. Reightler continues to be an advisor to her, helping her pick out mares. Currently she has three mares of her own. In addition to her own mares, Sabrina cares for nearly 50 horses from her clients. At GreenMount Farm, she foals, does sale prep for weanlings and yearling, breeds mares, and consigns Thoroughbreds. George Adams is principal at Housatonic Bloodstock. George worked for Hall of Fame trainer Shug McGaughey while he attended Williams College, then prepped sales yearlings and groomed stallions at the famed Claiborne Farm in Kentucky before enrolling in law school at Boston College and practicing as a corporate attorney. 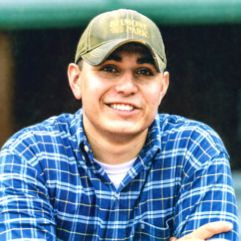 George returned to the equine industry in 2012 and worked at Country Life Farm in Maryland until late 2015, where he researched pedigrees, helped to plan matings, and identified racing and broodmare prospects at the sales. Among the horses picked out by George at the sales were If Not For Her, a $25,000 yearling purchase who went on to become a stakes-placed winner of $123,590 before re-selling as a broodmare prospect for $135,000, and Baby Love, a $24,000 broodmare purchase while carrying the stakes winner/Grade 3-placed Bonus Points in utero. George now concentrates all his energies exclusively on Housatonic Bloodstock. Housatonic Bloodstock LLC offers a range of services to Thoroughbred owners and breeders, including pedigree analysis and mating recommendations, as well as assistance identifying and inspecting potential purchases at auction. Housatonic Bloodstock has been involved in buying, selling and breeding race horses since 2014. The name Housatonic is taken from a river that flows through Western Massachusetts, where George grew up. He now lives in Baltimore with his wife and two small children. 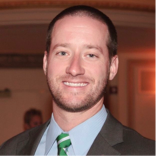 Adam was born in Buffalo, New York, and moved to Gainesville, Florida, in 1981. He completed his studies at the University of Florida in 1985, earning a BS from the Department of Animal Sciences. Major areas of study included equine reproduction and physiology, and equine nutrition. In 1986 he began his work at T-Square Stud as a night watchman in the mare barn during foaling season. Over the next 20 years, he managed 8 stallions, foaled 1200 mares, performed extensive sales work, as both consignor and purchasing agent at most major US venues and in Canada. He has broken/trained more than 1000 young horses over the past two decades. He has graduated 3 millionaires, 13 Graded Winners and over 50 Stakes Winners. He is currently the “resident/owner” of T-Square Stud. With his lovely wife Suzette, a principal at a local elementary school, they operate a full service farm where they board mares/foals, weanlings, yearlings and lay-ups. Their training operation, just 4 miles from the main farm, boasts a fully lit, 1-mile main dirt track, a 7/8 turf course, an equine lap pool, a natural swimming pond, turn out paddocks, and the safety of all wood barns. Tamarie is a former Air Force brat, who moved all over the country including Hawaii. Since 1980 she has been settled, educated, married and raised a family in New Hampshire. 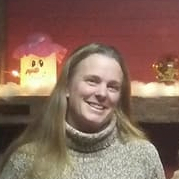 Tamarie has 30+ years of accounting experience in the NH area. Her vast range of work experience includes everything from general contractors to real estate developers to law firms to accounting firms to governmental agencies to real estate brokers to venture capitalists to start-ups. She works for companies she likes that have both ethics and integrity. Tamarie prefers working with smaller entrepreneurs due to the hands-on, creativity and general excitement of a new company. Ron has been working professionally in Software and Internet businesses for over 25 years. 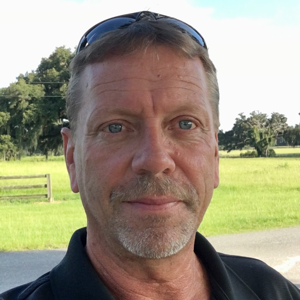 Whether it is helping to design and scale large enterprise websites, leading development teams to create database middleware solutions or participating on teams to deliver state-of-the-art mobile applications, Ron’s passion for building world-class software is undeniable. As the Director of Engineering Innovation at Alumni Ventures Group (AVG), Ron oversees the design... Over the past several summers, Ron has guided high school students in summer internship programs helping them to unlock the magic that coding and engineering have to offer. Ron enjoys traveling with his family, a round of golf with his sons, and coaching football. 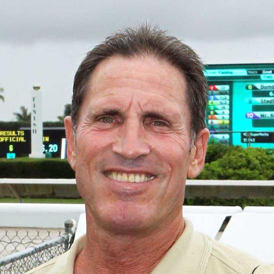 After years of listening to TK talk about horses and horse racing, he became interested in and now enjoys the claiming and handicapping aspects of the sport.